SAN FRANCISCO (Reuters) - Graphics chipmaker Nvidia Corp said on Wednesday that Swedish automaker Volvo would begin using its artificial intelligence computer to deliver low-level autonomous features in all its next-generation vehicles. The deal, announced during a developers' conference in Munich, underscores the importance of computing power even for partially autonomous systems, which are not designed for full self-driving but offer drivers assistance, such as lane keeping or emergency braking. Volvo, which is owned by Chinese automaker Geely, is an existing customer of Nvidia with plans by 2021 to sell production vehicles built on Nvidia's full self-driving platform, part of a wave of automakers using Nvidia's chips and computing systems in their upcoming autonomous vehicles. 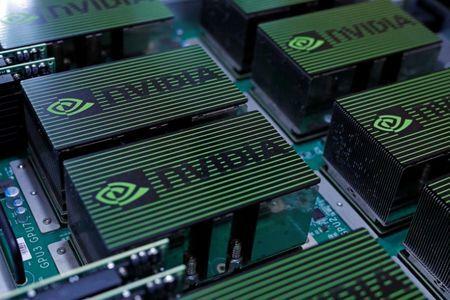 Nvidia said production of the new vehicles using the Drive AGX Xavier computer would begin in the early 2020s. In addition to advanced driver assistance systems, the cars will feature a driver monitoring system and 360-degree surround perception. The Silicon Valley chipmaker said in January that about 320 companies involved in self-driving vehicles were using the company's Drive computing platform.